"Aceite de Oliva del Bajo Aragón" is understood to be the extra virgin olive oil from olive trees that are grown and oils that are processed, packaged and marketed in this area. The extraction procedures shall be exclusively mechanical. Mechanical procedures are understood to mean milling, beating, pressing, centrifuging, decanting and filtering without the product undergoing any kind of transformation that might alter its natural characteristics. 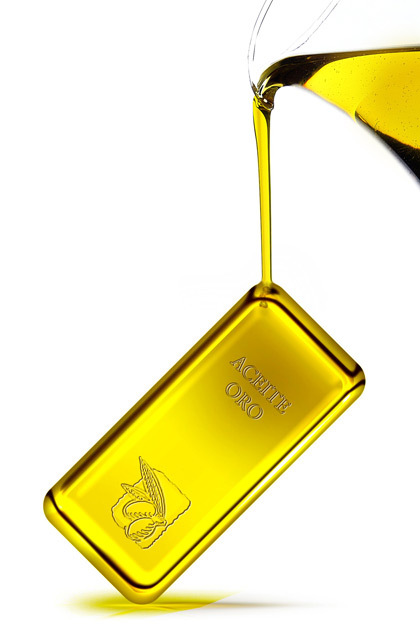 The characteristics that distinguish Aceite del Bajo Aragón can be defined through three points: appearance (Clear with no indication of cloudiness, turbidity or sediment), colour (yellow with nuances of golden yellow to old gold, which are characteristic of the Empeltre variety) and taste (smooth, fluid oil, very pleasant on the palate with flavours that recall the fragrance of the olive tree). The beginnings of the oil-producing activity in Southern Aragon are lost a long way back in time, although the appearance of the activity goes hand in hand with the appearance of olive-tree cultivation in the area. The area devoted to cultivating this tree gradually increased and at one point amounted to over 80,000 has. At present, due to various factors that will be dealt with in subsequent sections, the area has been decreased to 37,000 Has., of which over two thirds are cultivated in the province of Teruel and the rest in the province of Zaragoza. 60 % of the farming establishments are family farms, with less than 20 Has of crop being farmed and extensive division of land into plots. The average area of the family farms on unirrigated land is less than 2.5 Has. and olive growing is often combined with the growth of almond trees or cereals. On irrigated land, with an average area ranging from 1 to 2 Has., the farmers also tend to devote themselves to other crops such as late peach trees or almond trees. These combinations coincide to a great extent with the area in which the olive tree is grown. A very productive variety of olive tree, which bears its fruit in the shape of black olives early and is native to the area of Southern Aragon. Of all the varieties protected by the Regulatory Council, at least 80% of Empeltre is used in the processing of protected oils and Arbequina and Royal can in no case be in excess of 20%. With this guarantee, the Designation of Origin protects and promotes the use and consumption of the Southern Aragon olive par excellence.